The Galaxy S9 is just around the corner, but Samsung still wants to promote its current generation of high-end devices. This comes in the form of a great offer on their Galaxy flagships in the USA. The Korean company is also giving away a limited Winter Olympic edition of the Galaxy Note 8. Samsung Galaxy Note 9: Will Samsung steal a march on Apple? Samsung Mobile USA currently has a great offer for anyone in the market for a premium smartphone. The company is currently throwing in a free pair of AKG on-ear wireless headphones when you purchase a Galaxy S8, Galaxy S8+, Galaxy S8 Active, or Galaxy Note 8. Good headphones are essential for getting the most out of your smartphone. Despite the fact that they soon won't be the latest generation, the above phones are all great devices and should provide years of good service to anyone who doesn't feel like they absolutely need the very latest tech. And if you care at at all about the sound coming from your smartphone, you were probably going to consider some decent headphones on top of any smartphone purchase anyway. The special offer includes both unlocked and carrier models, except (for some mysterious reason) for Sprint models.The S8/S8+ already comes with wired in-ear-headphones from AKG but these wireless on-ears are quite a step up. The headphones included in the giveaway are the model number AKG Y50BT, normally priced at around $180. That's a pretty good deal for wireless headphones that offer high-quality sound, earcup-mounted controls, and roughly 20 hours of battery life. Does the Galaxy S8+ still beat the competition? Pick your favorite! Choose “Galaxy S8+” or “OnePlus 5T”. 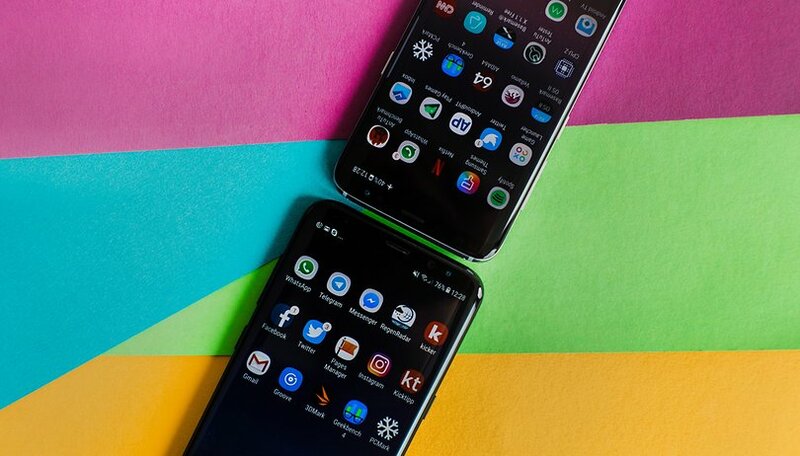 To take advantage of this you'll need to shop through Samsung's US website or via the official Shop Samsung App and add a qualifying smartphone to your cart. The free AKG headphones will then be added automatically to your cart also. The offer is currently live and should be valid until February 16 (while stocks last). The 2018 Winter Olympics will be held in PyeongChang in Samsung's home country of South Korea between February 9 and February 25. Samsung is one of the main sponsors of the sporting event, and isn't missing the opportunity to promote its most prestigious device, the Galaxy Note 8, by releasing a special Olympic-themed version of the powerhouse phablet. The Galaxy Note 8 PyeongChang 2018 Olympic Games Limited Edition (just rolls right off the tongue, doesn't it?) sports a new shiny white glass rear panel with a golden Olympics rings logo. The Korean company also applies the golden touch to the exclusive phone’s rim, buttons and parts of the S Pen. Samsung plans to distribute some 4,000 personalized Galaxy Note 8 handsets to athletes (including Paralympians) and IOC staff members. The phones will come pre-loaded with wallpapers created from PyeongChang-related images, and apps meant to help participants make the most of PyeongChang. The limited edition Galaxy Note 8 looks great but will no doubt incredibly hard to get hold of for those who aren't very well-connected to the Olympics. Even if we can't buy this limited edition, it's still nice to see Samsung displaying their stylistic chops. The '8' numbered Galaxy flagships should remain viable options for a couple of years at least. What do you think? Has Samsung impressed you all with the Galaxy S8/S8+/Note 8? Is anyone still considering buying one in 2018? Nope. I went with a galaxy s8 Active on T-Mobile no curved edge display I hate emm . I'm waiting for the Note 9. It will have Band 71 for TMobile.